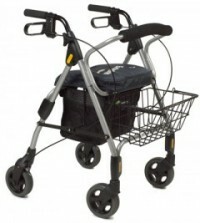 The rigid steel frame gives this walker unmatched stability for users suffering from neurological conditions such as Multiple Sclerosis, Parkinson’s and stroke conditions. 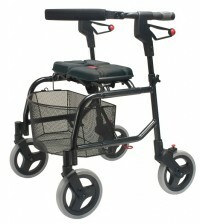 The rigid frame allows the addition of the specialized Arm Trough System, for those individuals unable to use a standard walker handle. Wide models have a larger seating area with a bigger soft seat cushion for added comfort.